Stacy Hill has the opportunity to adopt Keagan’s sister but it is an unexpected and expensive journey. We will be hosting a shower for them through a money tree and giving gift cards. 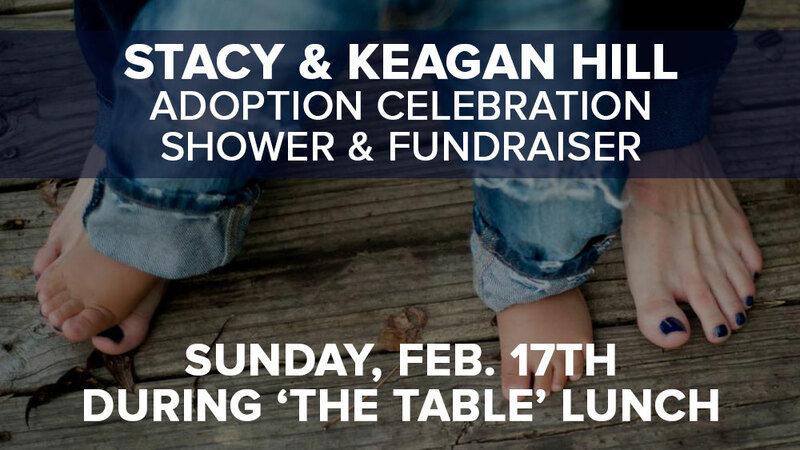 Join us during “The Table” and celebrate the growing Hill family!